"Beautiful, peaceful and amazing. 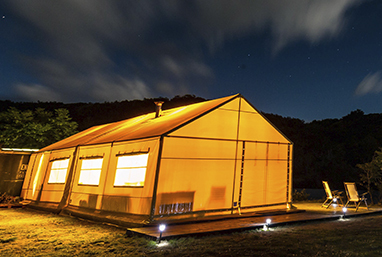 The best camping on the planet. Fantastic food, spectacular service, wonderful staff and the baddest Brook Trout on the planet! Warmest regards." "Just a quick thank you to all at El Encuentro Flyfishing for looking after our group of rather hopeless fishers and for giving us all such a great time. We all loved the whole trip, the fishing, the camp, the lodge, the food and in particular our wonderful, patient guides! We were sad to leave but went on to have an amazing trip with many adventures on our way to B.A, but somehow we all fitted into the hired car and had a great time. Please could you thank Marcello, Greg and Kevin for looking after us, and also Benjamin. I hope we will be back one day." “ Its difficult to put into words to sum up our experience, but I’ll try. 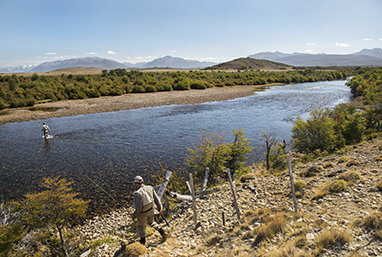 What a time we had at the Las Pampas Lodge, the fishing far exceeded our expectations, with many fish landed and a few lost, but even those lost have a story to tell. Your guides are without doubt the finest we have ever had the pleasure to fish with, Alun, Freddie and Kevin will be remembered for many years. The stories they can tell regarding the history of Chubut Province/Argentina and Tony Mort particularly, being Welsh and Alun having Welsh ancestry both its far to say, became firm friends. The accommodation was first rate, food fantastic plus of course also the wines. The Andes backdrop was always in view and those mountains do look majestic, also we must not forget the wildlife all stunning. All our group felt it was the very best fishing holiday we have ever had and there have been several murmurings “we’ll be back”. "Hustling through the crowded Buenos Aires airport, I could not imagine what El Encuentro would be like. But when I arrived-the beauty and serenity embraced me. The joy of slipping a ten-pound Brownie back into the river. It would turn out to be a world to take back with me even when the maelstrom of life sucked me back in." 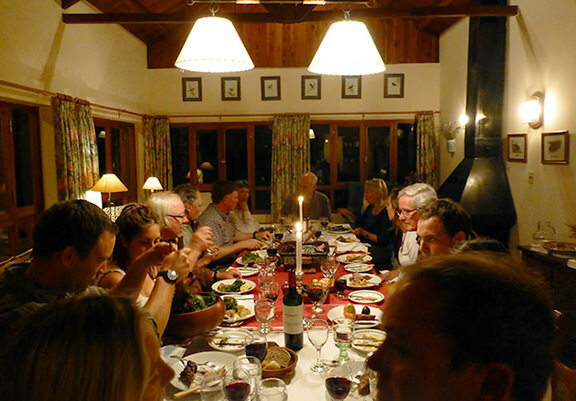 "Throughout our trip, the food was delicious, the wine bottomless, and the lodges accommodating of every request. Beyond packing and unpacking our bags, we never had to lift a finger the entire trip. The most stress we encountered was trying to decide who would fish where, and with whom. There were no wrong choices, only better ones. It was, we all agreed, the trip of a lifetime." - Ed Swift, The Angling Journal, May 2015 Click here to view the complete Angling Report Newsletter.